“I Think It’s Warming Up” – Run. Ride. Roam. In the spirit of keeping up with the locals and ignoring the winter weather to embrace the great outdoors, I decided to enter a 10K run today. My new determination to defeat the winter chills wasn’t so much a baptism of fire, as a baptism of ice. A glance out the window this morning, was met with a car park full of cars with iced up windows and the temperature was still below zero. OK, the run doesn’t start until 11:00, so the ice is bound to have melted by then, no problem. Time to layer up! 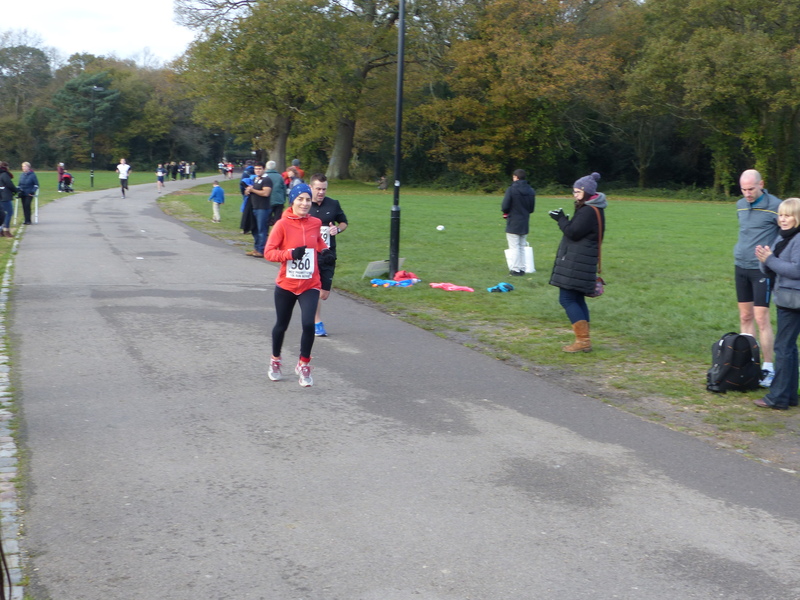 We made our way to Southampton Common, where the run was to take place and joined the few hundred other die-hard runners braving the freezing cold, for a couple of laps around the grounds. There were so many runners, that at the start time, they were still lining up waiting to enter, so the delayed start meant more time waiting around getting colder and colder! Once again, my feet ceased to be a part of my body and I just couldn’t feel them at all, so I bounced and jumped and hopped around trying to keep warm and to get some feeling back into the blocks of ice encased in my sneakers. A very cold wait and I was very reluctant to shed my layers. I would have happily run in fleeces and jackets! 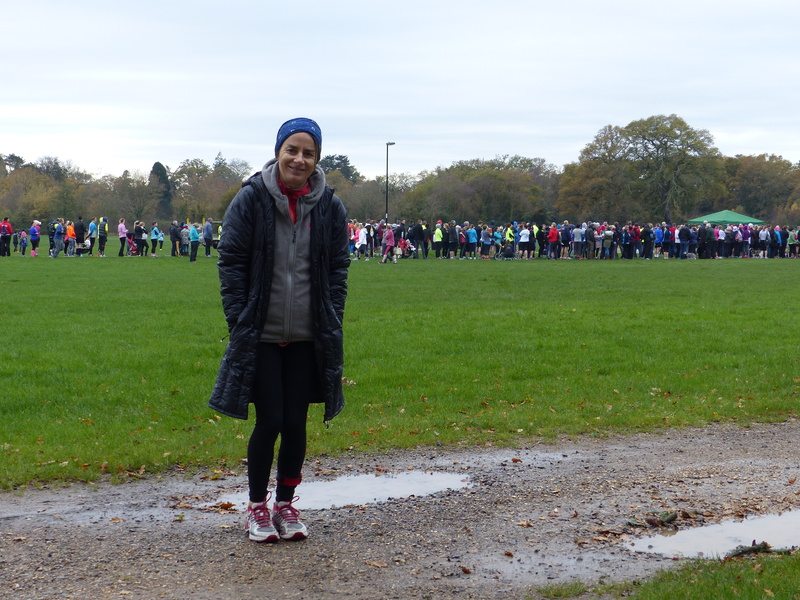 Eventually it was time to move to the start line and here I heard the words from a fellow runner, “I think it’s warming up.” Oh, how I love that beautiful British optimism! Indeed, by the time the gun went off, the temperature had risen to a balmy 1C, so at least we were in positive territory! Off we all went and it was a lovely place to run, around the Common, through the trees and with people walking their dogs all around. The people beside the path gave the runners encouragement and it was all a bonza atmosphere and a very pleasant plod on a wintery Sunday morning. Apparently I came fourth. I know this, because I had marshals telling me this at various parts of the course. “You’re the fourth lady,” called a lady marshal as I ran past, “well done, keep goin’” and she started pumping her arms in a gesture of ‘speed up’ as if she thought I’d try and catch the person in front of me or something. Then further along the course, another marshal held up four fingers, “Your ve forf laydee, well done, keep goin’” and gave another gesture of encouragement to speed up. Then another runner, at a part of the course that double backed, so we had runners coming back towards us, held up his fingers, “Fourth lady!”, just to let me know. They didn’t know who they were talking to. I’m afraid not a drip of competitive spirit courses through my veins and I was just out for a run, I don’t enter these events to race, I’m just happy with the run. The couple of runs I’ve done on this trip where I placed, were pure fluke, because I just don’t focus on that at all I’m afraid. It was very nice of them to give me updates and give encouragement and yes, the third place lady was just in front of me, but I was happy with that, I wasn’t in a hurry to pick up the pace, I was happy with just running along. I even slowed down to pat a dog that had trotted across the path in front of me and it had such a friendly face and comical bearded whiskers, that I couldn’t not reach down to say good morning! Just about to finish – a fun morning and time for a hot shower to thaw out! I love running in England, even when it’s cold because the scenery is nice and the people are lovely. It’s very hard to run when you can’t feel your feet because they are frozen numb. It’s very hard to breathe in icy cold air! So that was a fun morning. After a quick hot shower, we jumped in the van to drive off to a pub for our reinstated tradition of a Sunday pub lunch. Unfortunately when we arrived at the pub they were booked out and we thought about going in search of another, but with the run this morning being held up and getting back to the room and then heading out again, it was nearing 3 o’clock. With nothing to eat since an early breakfast, the belly was well and truly starting to pinch, so we gave up and went back to the room to dip into our supplies instead. The tradition would still stand though! Instead, we headed out for a Sunday pub dinner. The town of Wickham was gorgeous, even though it was dark, so we must go back and see it in daylight, the pub was lovely, the people super friendly and the food was absolutely scrumptious. 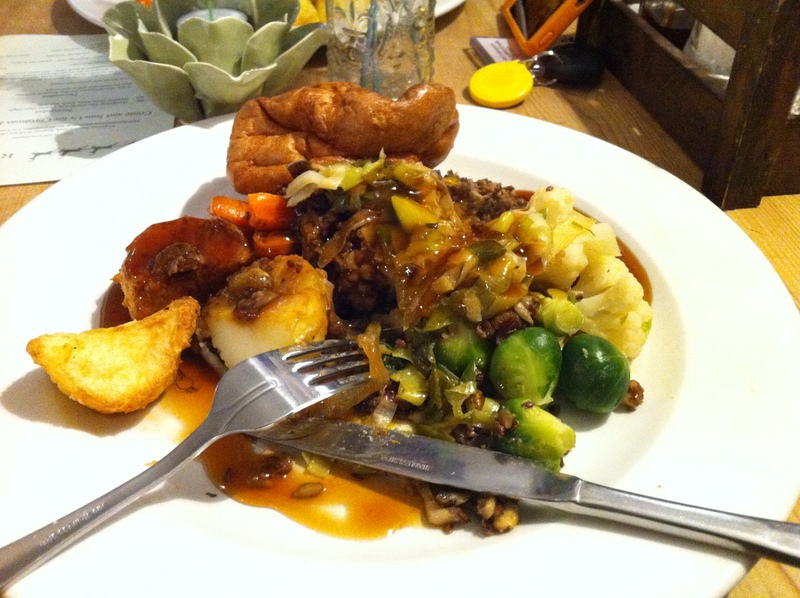 It was a normal pub with meat roasts and the usual pub food, but also had some vegan choices on the menu. 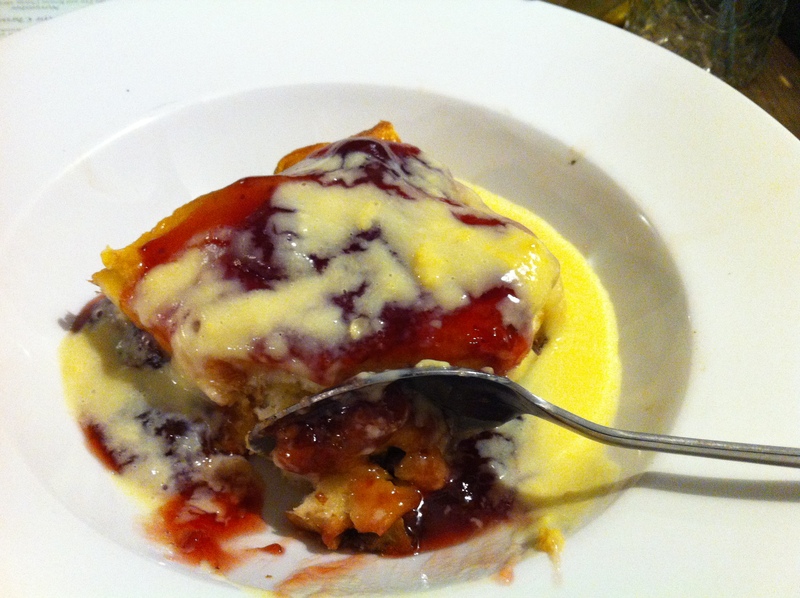 I had the nut roast and once again, despite the ample choices, Steve asked for the nut roast too. It came with all the trimmings, all vegan, even the Yorkshire pudding and it was so super duper! Even the sprouts were yummy and I’ve always hated Brussel’s sprouts. 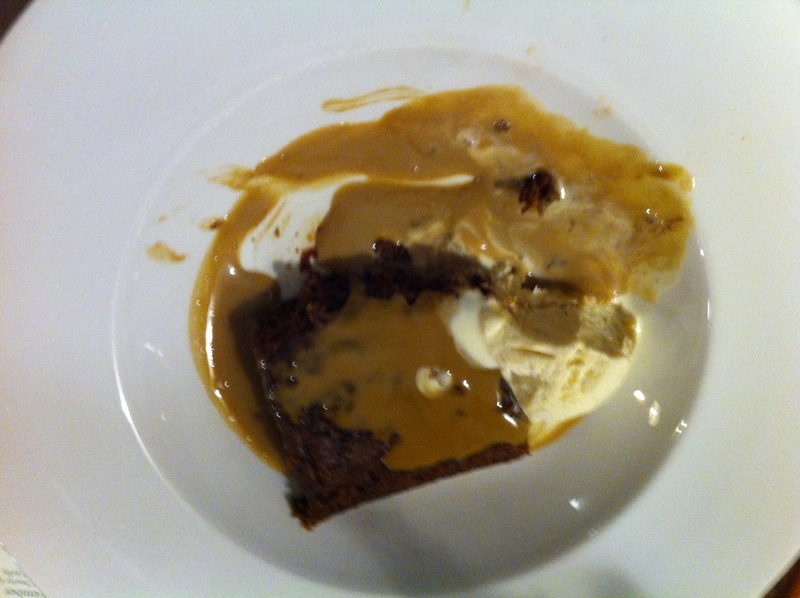 We pushed the boat out and had pudding too, so Steve went for the sticky toffee pudding (vegan and with dairy free ice cream) and I had the bread and “butter” pudding and dairy free custard (also all vegan) and it was heavenly and I didn’t want it to end. A super Sunday. A fun run around Southampton Common this morning in what was another new experience (running on an icy cold English winter morning). There were plenty of people out and about with that brilliant attitude that sees them outdoors no matter the weather, so I felt better that I was just a teensy weensy little bit like them. Then a fabulous pub meal to round out the day. It was a day that forces me to dip into the lexicon learnt on our last visit to England and declare the day “Breeyant!” That was it, in a word, simply “Breeyant!” So much to love! You’ve got cold weather over there and we have it coming here. It’s meant to snow here on Thursday!! Snow in November. How Tasmanian! He had such scratchable whiskers! I’ll take any opportunity to say hello to a friendly dog!